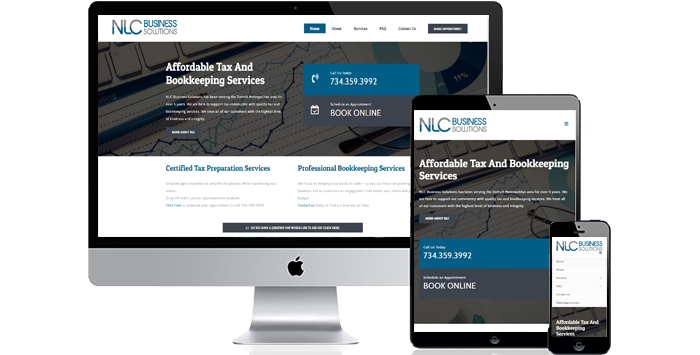 NLC Business Solutions serves Detroit Metropolitan area with Tax and Bookkeeping services. This project includes, web design, graphic design and logo design. The website features a custom WordPress design with booking software iframe integration.